So yes it is true, Dangrdafne went to a comic book store WITHOUT Brainwise for Free Comic Book Day! I picked books that I would read and took my chances if we had doubles. I also added two of my favorite female characters as Funkos since they were Buy 1 get 1 50% off. I also happen to cosplay as both of these characters. And this was my special extra, although not from a comic book store but Hot Topic. It was fun watching all the kids trying to decide which 5 books to get. It was also wonderful to see all the families coming in and each person reacting to different things in the store. Everyone seemed very happy. 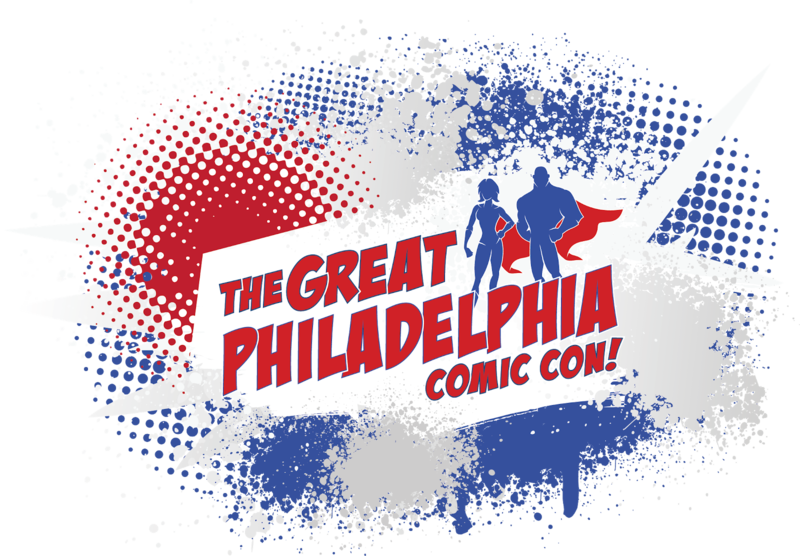 I hope you had a great Free Comic Book Day. Feel free to post in the comments what you got on the day. 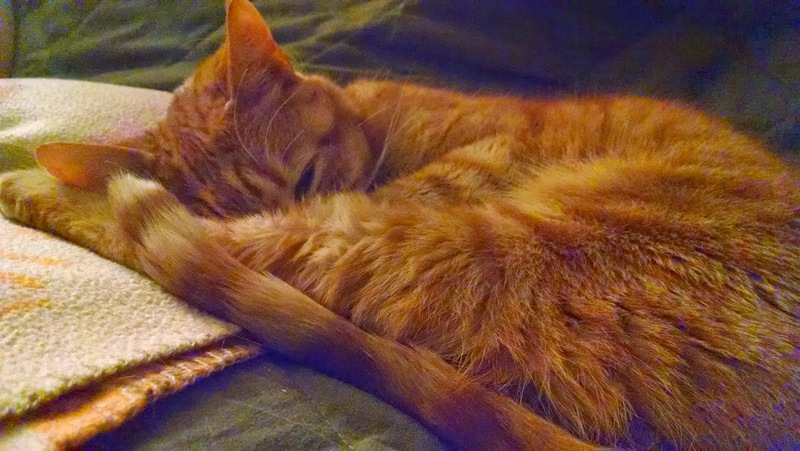 I don't need 5, I only have one and it is my absolute favorite. I have belonged to this fandom since I was 7 years old. My sister started the craze followed by my Grandmother. I have loved horses since I can remember. 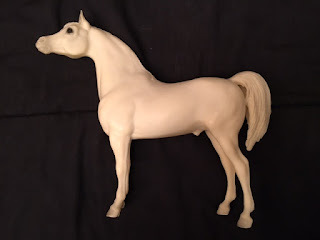 My first Breyer was the Family Arabian Stallion that my sister bought with green stamps for my Christmas present. If you don't know what green stamps, google it ;) I named him (although at the time I had no idea they were boys/stallions or girls/mares) Holly. Although part of the fandom is creating cool longer fancy names for the horses in addition to their stable names. Then my Grandmother bought me for Christmas what became my favorite mold, the Proud Arabian Stallion, I named him Angel. It is all but one of the Proud Arabian Stallion variations over the past 40 years. In 5th grade my teacher saw a brochure for a magazine called Just About Horses and immediately thought of me. I asked my parents if I could subscribe and I don't remember if it was a problem or not but I do recall starting to receive the magazine. I subscribed to them until they stopped publishing just a few years ago. 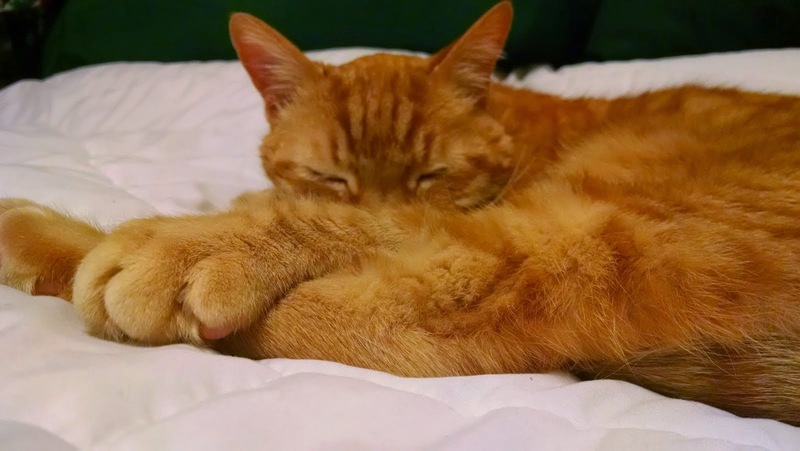 I had my little stable in the room I shared with my sister and I am very lucky she shared the space with us. There were photo shows and live shows and I did it all. I never went to Nationals but I had tons of fun with all the local shows. I was lucky that my family supported this crazy thing and I love them all the more for it. The ribbons are from various photo and live shows that we placed in. 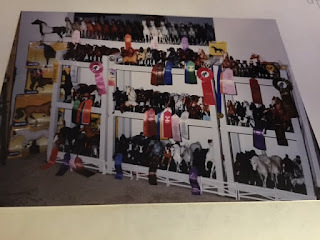 Then I learned about Breyerfest. A HUGE convention, show and sale in Lexington KY at the Kentucky Horse Park. My first trip was to help someone run their table during the show. It was sooo much fun and I even won one out of 25 raffle horses...with just one ticket! Just one corner of my Breyers currently in our house. My hubby built me my dream shelves to show off my horses. 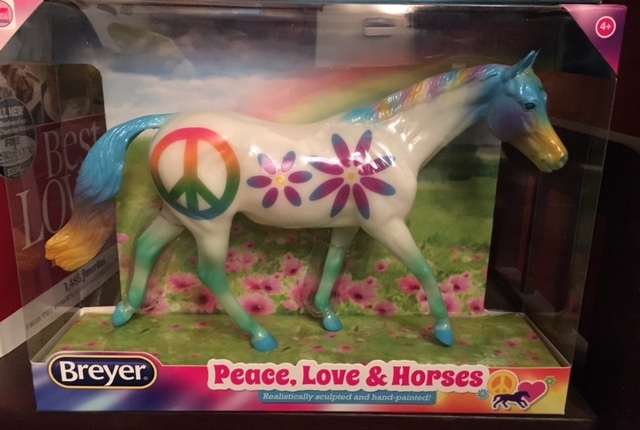 I would have to say as much as I would love a real horse, I am so happy that I have my Breyer models that have always satisfied my craze. 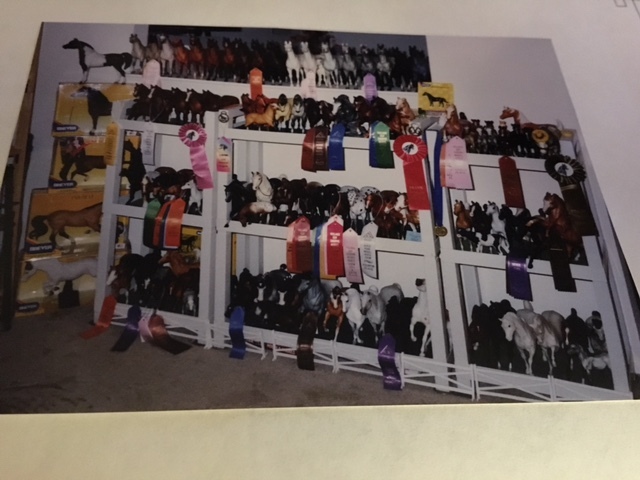 I am forever grateful to Green Stamps for offering Breyer model horses oh so many years ago and to my sister for starting a craze that makes me so happy and has lasted a lifetime. 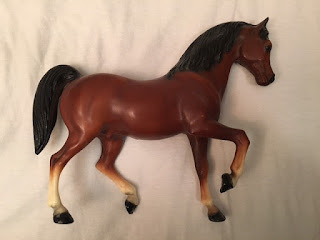 I truly could go on and on about my horses, Breyer, Breyerfest, etc but I won't but if you want to know more, please let me know in the comments.